I love my home studio. I can control the light, the temperature, and the weather is not a factor. You can choose from a variety of props and backdrops. We can decided on colors you'd prefer and/or props you'd like to use during your session. 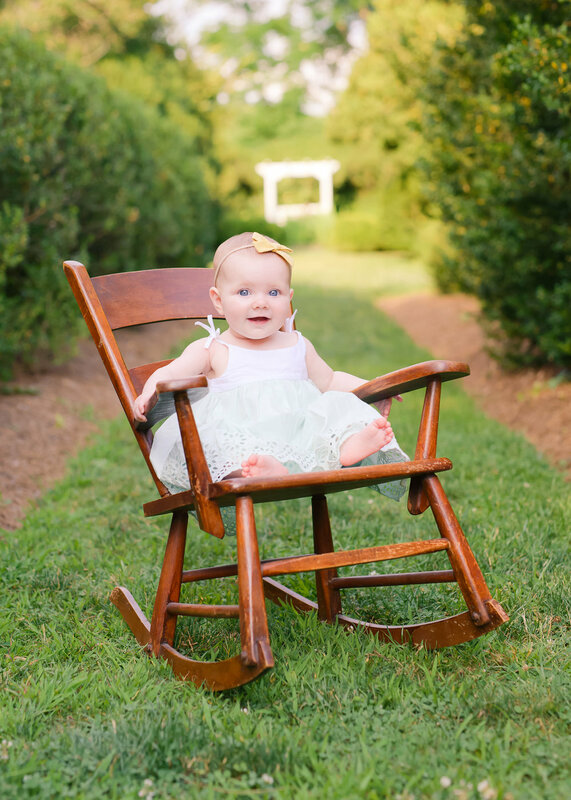 Weather permitting, outdoor locations are a great idea for your milestone session. The natural light and setting are always beautiful in portraits. It, also, provides the space to run around and be yourself. For those 6 month session, I recommend bloomers, bubbles, and even "nakey"! I will be sure to hide all the private areas, but little baby bums are so cute. And, those chubby bellies. LOVE them! 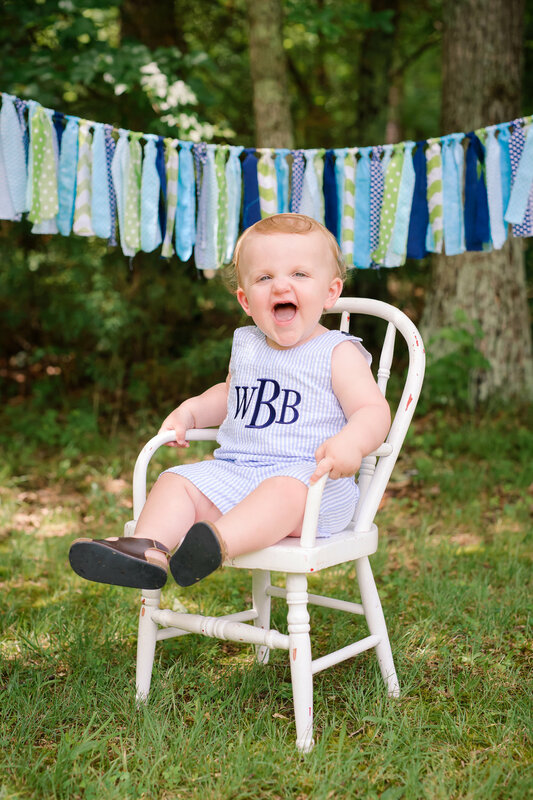 At your child's one year session, I suggest a monogrammed romper or shirt for individual pictures. If you choose a cake smash, diaper covers for both girls and boys are adorable. I,also, love boys in jeans and no shirt. Remember, they will get messy! 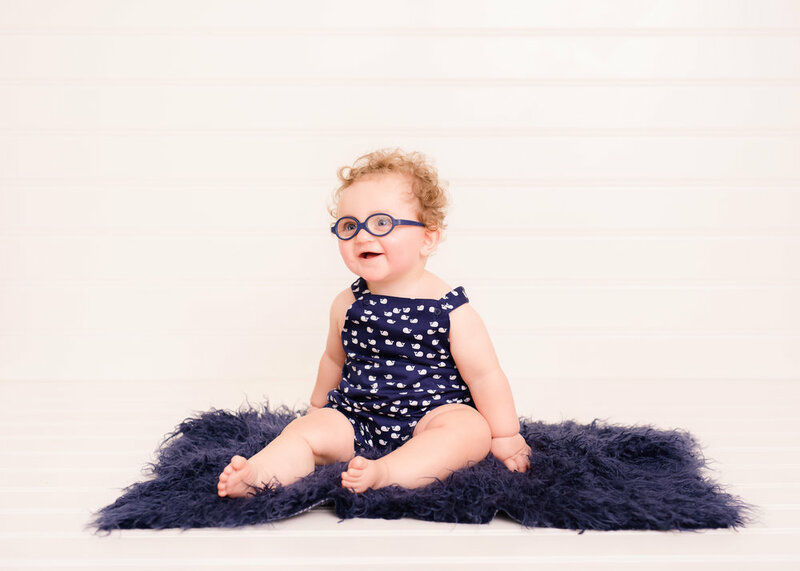 If your little one is older than one, I'd suggest a sweet monogrammed dress or shirt. Choose an outfit they are comfortable wearing and can move around in easily! Whatever you choose to wear, be sure to try it on as soon as you purchase it and bring a few backup options.